At this time of the year, when the winter citrus season is behind us and the summer fruit season has not yet begun, we often wonder what fruit to eat. Simple: Mangoes! Although it is increasingly available in grocery stores across North America and Europe, this delicious fruit is still relatively unknown to us, despite the fact that after bananas, it is the most consumed tropical fruit in the world. India and China are the main producers, followed by Mexico, which is where most of the mangoes in our shelves come from. Native to Southeast Asia, where it has been cultivated for over 5000 years, the mango is regarded as the symbol of love in India. 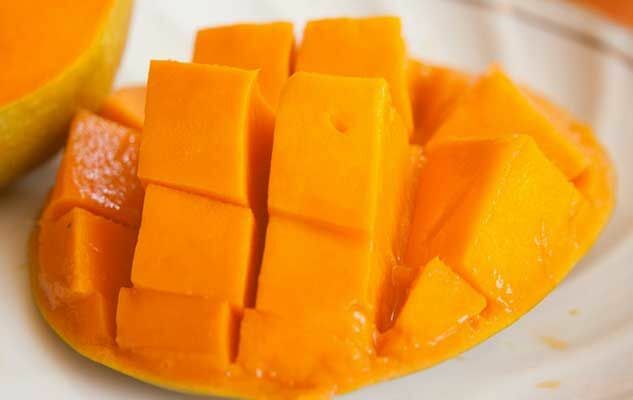 In his “Autobiography of a Yogi”, the famous yogi Paramahansa Yogananda wrote that it is impossible for a Hindu to conceive of a heaven without mangoes. I totally agree with him. Originally published in the Journal de Montréal on June 8, 2013.